Have you ever thought about blogging or dreamed of becoming a full-time blogger? 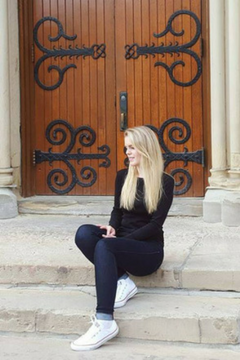 Becoming a full-time blogger has changed my life! It’s allowed me to earn a great living by helping others make better choices with their money and life. (I made $10K last month while traveling full-time)! One of the biggest perks about being a full-time blogger is being able to set my own schedule. Having a flexible schedule means I can work when I want, and from wherever I want. This allows me to enjoy more time with family and be able to travel more frequently (since I can work from anywhere). There are so many benefits of starting your own blog, and it’s a real possibility that you can turn it into a full-time job. Just a few years ago, I didn’t know anything about blogs. I was going to graduate school at the time and decided to start this blog on a whim. My blog was just a hobby in the beginning. It was a creative outlet where I could share my travels and money-saving tips with family and friends. In fact, in my first year of blogging, I made $0. In my 2nd year of blogging, I also made $0. (For the first couple of years, I was just blogging as a hobby with no intention of making money). I didn’t start making money until my 3rd year of blogging. My monthly income in my 3rd year of blogging was around $5K – $8K per month. (This was the year I started treating my blog like a business). This year (my 4th year of blogging), my income has been between $8K – $12K per month. I didn’t know anything about running a blog when I first started and learned everything from scratch. It took me time to learn new skills, but it was worth it. I absolutely LOVE what I do, and I feel blessed that I can earn a comfortable living from home. The truth is, everyone’s blogging journey will look different. I know some people who started earning money in their first month of blogging and some people who don’t make any money from blogging. How many hours do I work on my blog each week? Can you make money from blogging while still working at a full-time job? Ready to start your journey to becoming a full-time blogger? I earn the majority of my blog income through affiliate marketing (THIS course taught me a lot). The rest of my blog income comes from display advertising and the occasional sponsored post. The income I earned in July 2018 (the month I was traveling full-time) was mainly passive income. I worked about 15 hours on my blog in July. I was able to earn $10K this month because I heavily promoted my blog content in May and June. This allowed me to continue to drive good traffic to my blog in July without having to actively promote my content. Around 30-40 hours per week. I treat it like a full-time job, but I don’t have a set schedule. I am usually working in the mornings, evenings, and weekends (yes, I work on weekends). In the afternoon, I usually run errands (grocery shopping, at the gym, tidying up the house, making dinner, doing laundry, and so on). Yes, it’s definitely possible. I know many bloggers who started a blog while working at full-time job and made it successful. The key is to create a schedule for when you’re going to work on your blog and set income goals. For example, you can wake up earlier in the morning to work on your blog before going to work. Or you can work on your blog in the evening. 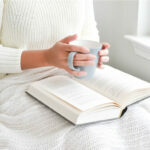 You can also make time to work on your blog on the weekends. Next, you’ll want to set income goals that you’d like to reach. For example, let’s say you started a blog today. You can set a goal to make $1,000 per month from your blog in one year. Then in two years, you can set a goal to be making $5,000 per month from your blog. Your income goals are up to you! This post isn’t meant to sell you the dream of becoming a full-time blogger. So, if you’re expecting to read that bloggers just sit around all day writing blog posts, or getting paid to travel and post beautiful photos on Instagram, this post is not for you. 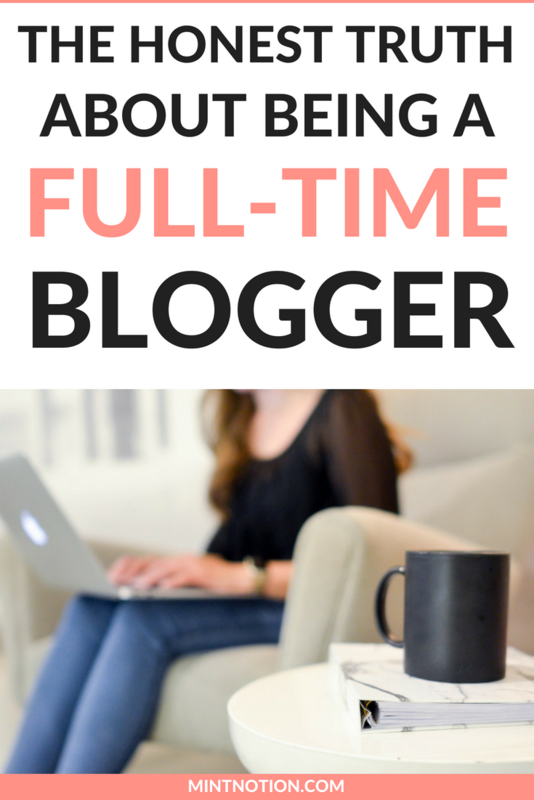 There’s a lot of hard truths throughout this post, so you better listen up if you’re interested in a becoming a full-time blogger. Here are 10 things you need to know about blogging full time! 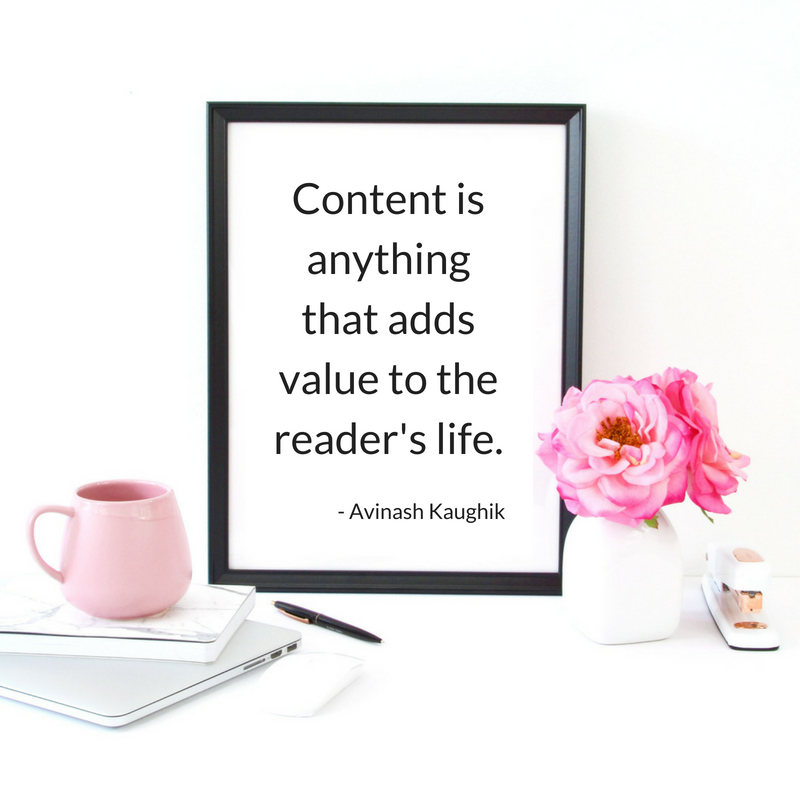 Yes, I know it’s obvious that you need to love what you do through your blog (writing, creating content, connecting with your audience, and so on). However, you won’t believe how many people start blogs on topics that they are not even passionate about – just because they think it will make them money! If you start a blog about “how to make money blogging” because you’ve seen others find success in this niche, but you’re not passionate about this topic, you’re going to make yourself miserable. Instead of loving what you do, you’re going to feel like blogging is a chore, and it will show through your content. I always recommend blogging about a topic or niche that you absolutely LOVE or want to learn more about. I know this is probably not what you want to hear, but it’s true. In the beginning, blogging takes a lot of effort. Fortunately though, with time and more practice, blogging does get easier! I remember when I first started my blog, I knew absolutely nothing about running a website or any technical jargon. I learned everything from scratch. Like the popular fitness mantra says, “What seems impossible today will one day become your warm-up”. 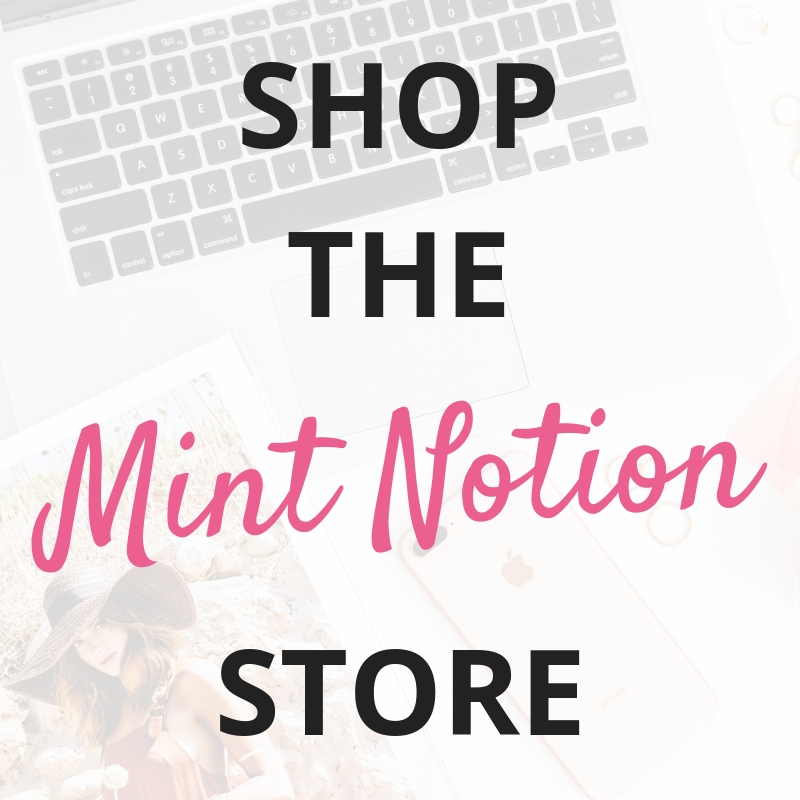 When I first started monetizing my blog, it was so hard for me to make my first $100. Good things take time. I learned slowly, through trial and error, and now I really love blogging. My advice is to just stick with it! If your blog is not about you, then who is your blog about? People follow certain blogs because it provides them value. Whether it’s fashion inspiration, money-saving tips, blogging advice, or delicious recipes, people want value! Unless you’re a celebrity, people are not going to stick around and read about what you did over the weekend, unless it relates to your blog niche. For example, if you’re a food blogger and you talk about going to farmer’s market over the weekend to buy fresh ingredients, then you share a quick recipe using those ingredients. This type of content can provide value to your audience. But if your blog is about fashion for stay-at-home moms, and you randomly share a post about going to the farmer’s market on the weekend, your audience may not find this content valuable. Instead, you want to create content that your ideal audience will find useful. This will keep them coming back to read more! Knowing your audience is key to becoming a full-time blogger. Because blogs that don’t target an audience, don’t make money. If you have this type of mindset, then you are already sabotaging your future success. Trust me, it’s actually a good thing that there are so many [insert blog niche] out there! This means that people enjoy reading about this topic and there’s already an audience for this type of blog. Please don’t feel like you need to reinvent the wheel when starting a blog. You’ll end up getting overwhelmed and burnt out, or worse – not even starting your blog. Becoming a full-time blogger is all about having the RIGHT mindset. You need to believe that you’ll succeed. Believing in yourself is the first step to success. 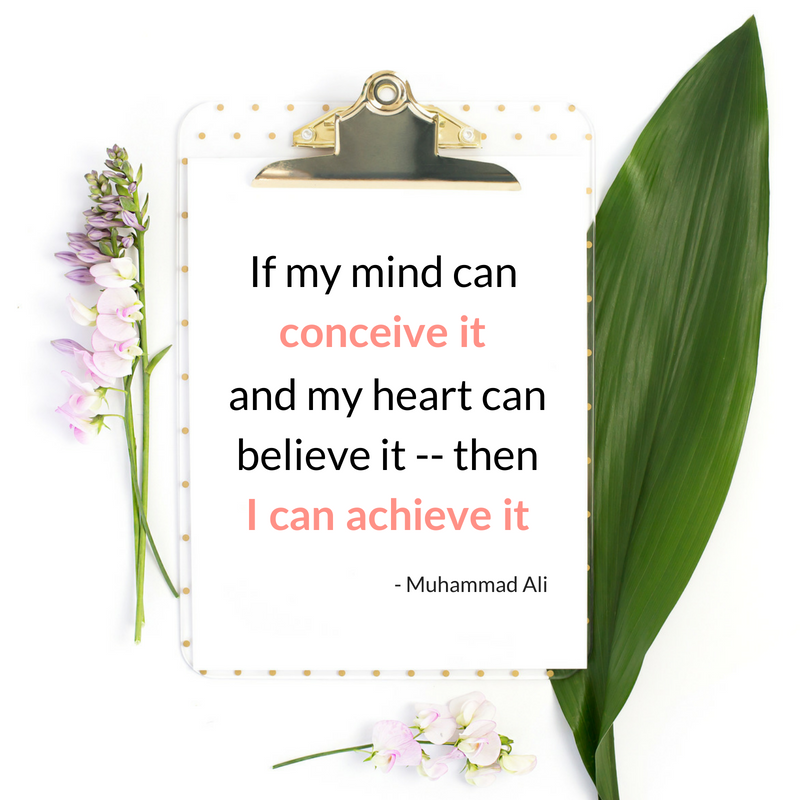 For example, if you believe that your blog will be successful, you’ll focus on making it happen. However, if you believe that your blog will never be successful, you’ll find a thousand excuses to give up before you even start. If you want to be a full-time blogger, you need to adopt a growth mindset. This means that you believe your abilities can be developed and grow with experience. Honestly, if I can find success with blogging – why can’t you? YOU can do this, my friend! Too many bloggers focus on selling the dream of starting a blog. They often say that blogging can be as simple as writing about your passion and success will follow. Unfortunately, this is only a small piece of the puzzle. Anyone can write about their passion, but if you want to turn your blog into a full-time job, you need to treat your blog like a business. This means you need to set goals for your blog. You can set goals for how much money you’d like to make from your blog each month, how many page views you want your blog to receive each month, how many bloggers you would like to connect and collaborate with, and so on. If your goal to make $1,000 per month from your blog by next year, what do you need to do in order to make that happen? You may need to research ways you can earn money from your blog and focus on one of those income opportunities, such as brand sponsorships or affiliate marketing. When you start running your blog like a business, you’ll develop long-term focus, and you’ll be more dedicated to investing in your success. When I first started my blog, I used to believe that “if you build it, they will come”. Unfortunately, this doesn’t work in the blogging world. In order to drive traffic to your blog and build a loyal following, you need to push outside of your comfort zone and promote your blog content! Still need help getting people to see your blog? I recommend checking out Traffic Transformation. It includes 21 tried and true strategies to help you increase your monthly page views. This e-book helped me grow my blog to over 200,000 monthly page views. You can learn more about it here. I recommend finding the right monetization option for you and your goals. I personally monetize my blog through display ads, affiliate marketing, and the occasional sponsored post. In the future, I’d also like to create and sell my own product (this is my ultimate goal). Most bloggers start out by monetizing their blog with display advertising. This is an easy way to make money. However, it’s not the best way to make money as a new blogger because it’s based on your website traffic. A better way for new bloggers to start making money is to focus on affiliate marketing. A small blog can make good money from affiliate marketing if they have an engaged audience. If you’re interested in learning more about making money with affiliate marketing, I recommend checking out the e-course, Making Sense of Affiliate Marketing. I took this course and it’s taught me how to earn thousands of dollars each month from blogging. You can learn more about this course here. Read more about the most popular ways for bloggers to make money at How To Make Money Blogging For Beginners. Yes, you can earn a great income from blogging. However, your income will fluctuate from month to month. This is not a bad thing, and it clearly shows you that it’s possible to increase your income. 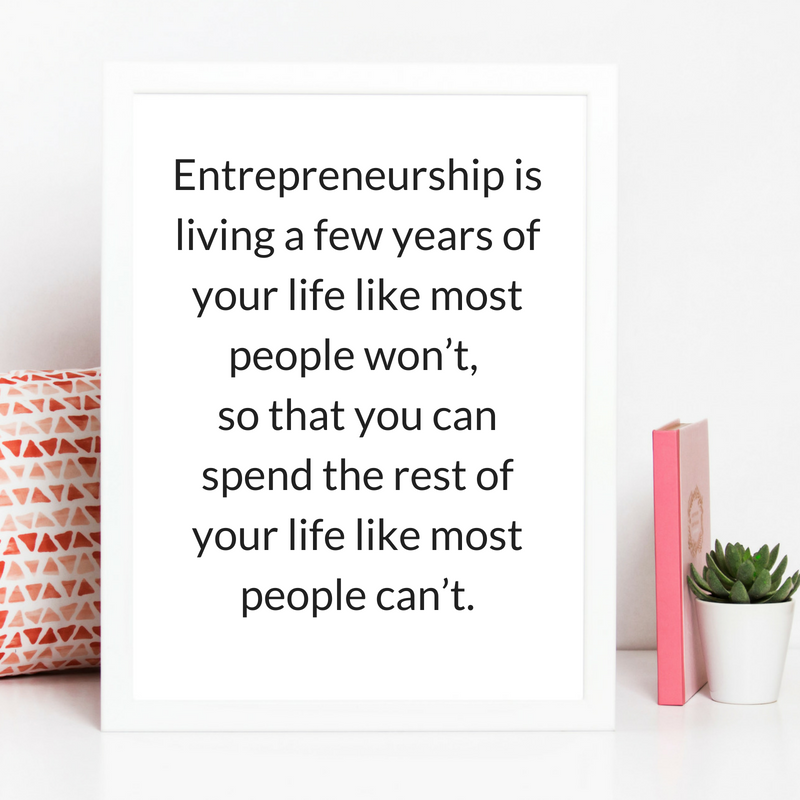 This definitely keeps me motivated to learn more about blogging and entrepreneurship. Even though my income does fluctuate each month as a full-time blogger, it usually remains within a certain range. 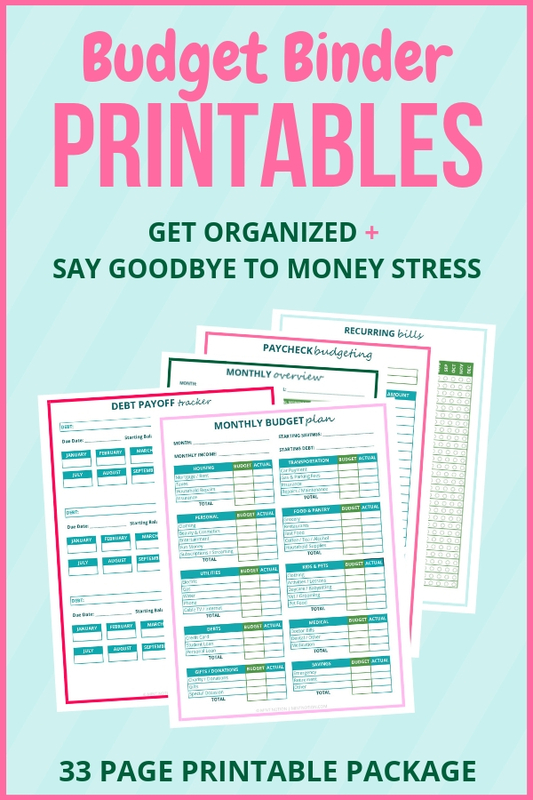 When planning my monthly budget, I set my financial budget at the low end of this range. This ensures that I spend within my means, and anything I make above this will go into my savings account. Unfortunately, building a successful blog overnight doesn’t happen (unless you’re a celebrity). It’s also unrealistic to expect to start a blog and earn enough money in the first month to quit your job. 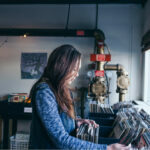 Yes, you’ll hear some stories where people start a blog and start earning thousands of dollars in the first month – however these stories are rare. Building a profitable blog takes time. This is why it’s important to enjoy the process and not give up too soon. It can take a few months of consistent effort before you can start making money through blogging. I recommend starting your blog today, rather than waiting around for the “right” time. The right time IS today, because you can steadily grow your audience part-time while still working a your full-time job. Ok ok… I know that I’ve talked about how blogging for profit takes time and it can be a lot of work. However at the end of the day, it’s 100% worth the effort you put into your blog, because blogging is A LOT of fun! Many business ideas can be expensive to fund, however blogging is super affordable. In fact, it costs only a few dollars per month to start your blog with Bluehost. This is the same web hosting company I used when starting my blog and I recommend them to all new bloggers. All you need to do is purchase a web hosting package (I recommend the Basic Plan) and you’ll get a free domain name. If you’re interested in starting your own blog, you can check out my easy step-by-step guide here. Don’t know how to code? Neither do I! The great thing about blogging is that you don’t need to become a technical guru in order to be successful. Bluehost allows you to easy set up your blog and make it look great within minutes. When it comes to blogging, all you need is a laptop to work on your website. This makes it easy to work at home, at coffee shops, on the plane, or even while chilling at the park. This is my favorite advantage of blogging – you get to set your own schedule. Whether you prefer to work in the morning, afternoon, or evenings, you can choose to work on your blog when it’s convenient for you. Having a flexible schedule means I can work on my blog in the morning and run errands during the afternoon. If you know that you’re going to be busy, you can even write and schedule your blog posts ahead of time. If you currently work at a full-time job, you can build and grow your blog on the side. Then when you’re earning enough money from your blog, you can decide when it’s the right time to quit and transition to a full-time blogger. You can access my step-by-step guide here which will show you how to set up your money-making blog within minutes. 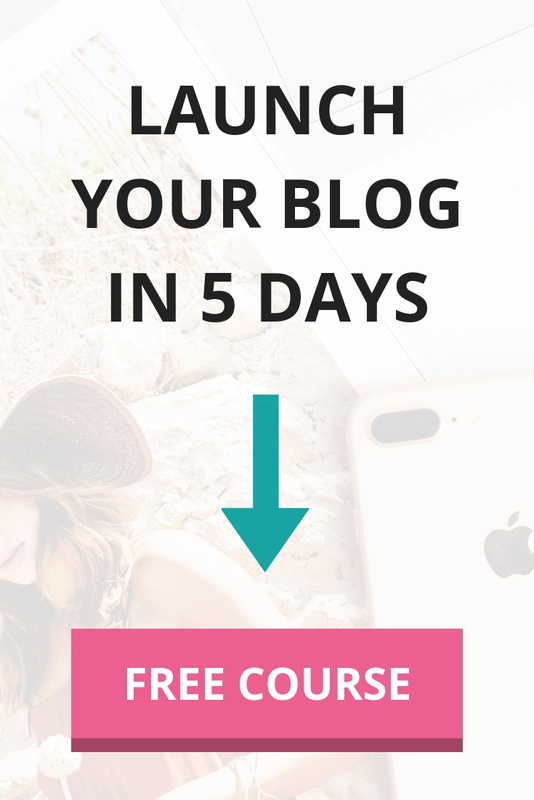 I also recommend signing up for my free 5-day blogging course which will help you choose a profitable blog niche (topic) and how to earn your first dollar from blogging.